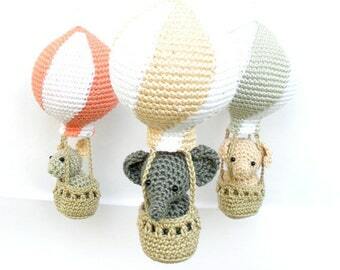 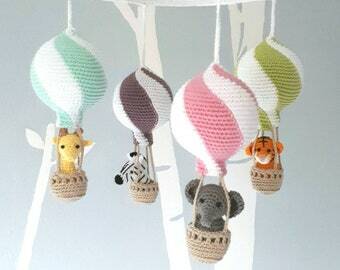 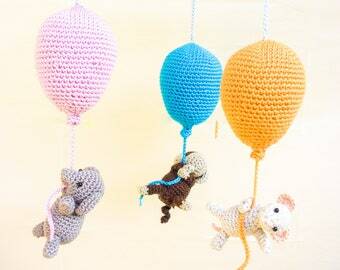 All baby mobiles in my shop can be hung to the ceiling with a string (which is included in the box). 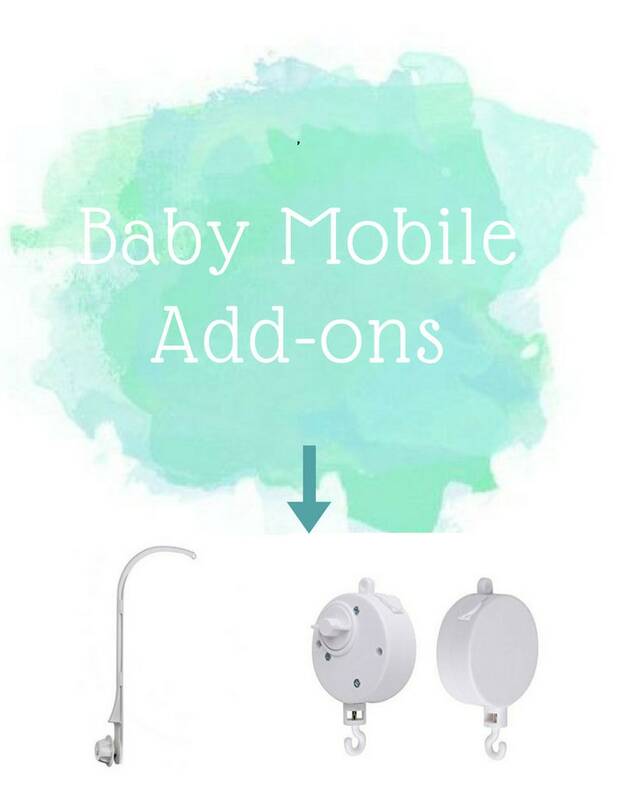 This ensures that the mobile stays out of reach of your baby, for a maximum security. 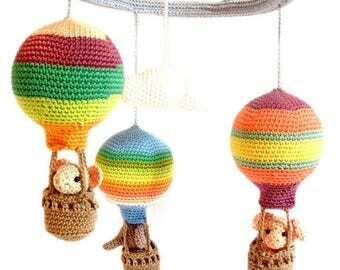 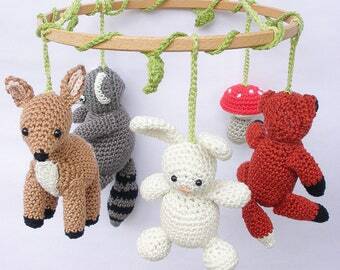 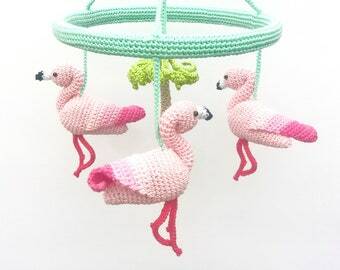 If you prefer to hang the baby mobile to the crib you can add this baby mobile hanger (see pictures 3-5) to your order. 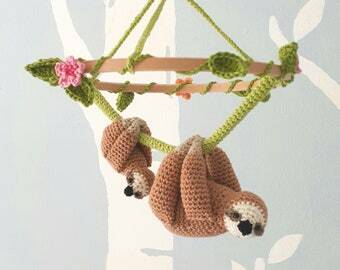 This support is very practical and easy to assemble. 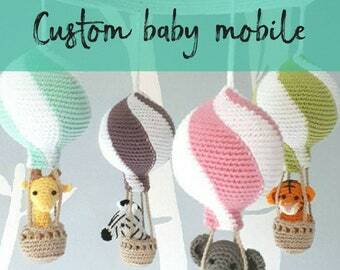 You can also add a sweet melody to your nursery mobile, by adding this music box to your order (see picture 2). 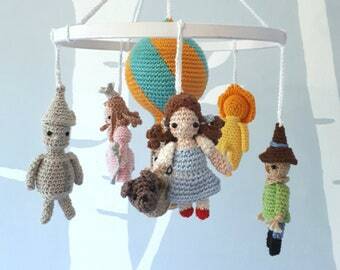 This music box also makes the baby mobile spin around.